The international development of the Group began a few years ago, creating the foundations for future growth. 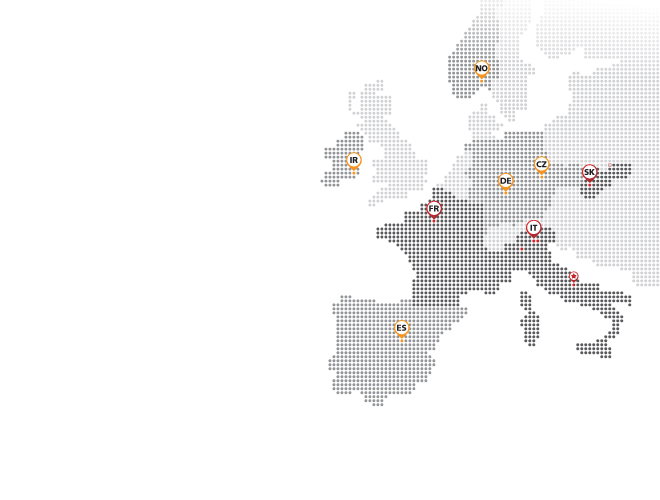 Today, Eurotherm has a presence in Spain, Ireland, Germany and the Czech Republic through its exclusive distributors who have a strong business presence in their native territories. Eurotherm has two overseas subsidiaries. Eurotherm Slovakia, which comprises a technical department and a sales department, including Director of Sales for Eastern European markets, and the recently established Eurotherm France, which has set some ambitious targets for development across France. The group‘s foreign subsidiaries have complete operational and commercial autonomy and work in close synergy with the Italian office.